On these small islands, spindly rock formations are the only hints of the dark magic that transformed the original ships into monuments to angering the local mages. 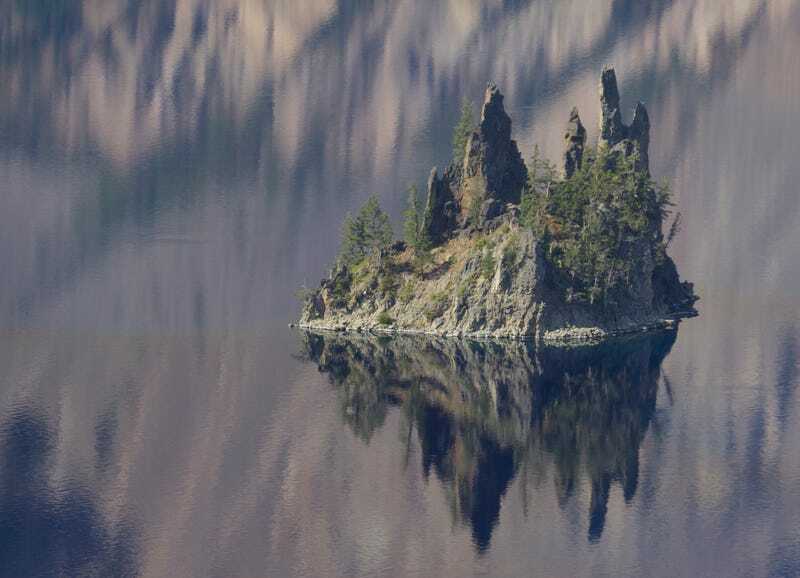 Alternately, it’s an island called Phantom Ship located in Crater Lake in Oregon. Lots of inspiration in both the island and lake names.